Maryland Drivers Alliance: Washington Post Article: MD Trooper Memos Depict AG Gansler as "Reckless Passenger"
Washington Post Article: MD Trooper Memos Depict AG Gansler as "Reckless Passenger"
The Washington Post has published a series of memos written by state troopers assigned to Attorney General Doug Gansler which document a series of safety related complaints by the police. "Maryland Attorney General Douglas F. Gansler regularly ordered state troopers assigned to drive him to turn on the lights and sirens on the way to routine appointments, directing them to speed, run red lights and bypass traffic jams by using the shoulder, according to written accounts by the Maryland State Police. When troopers refused to activate the emergency equipment, Gansler, now a Democratic candidate for governor, often flipped the switches himself, according to the police accounts. And on occasion, he became so impatient that he insisted on driving, directing the trooper to the passenger’s seat. Gansler once ran four red lights with sirens blaring, a trooper wrote. Another account said he “brags” about driving the vehicle unaccompanied on weekends with the sirens on. The same trooper reported that Gansler had “ordered and asked me on several occasions to run the shoulder while activating my lights and sirens. The Attorney General has also informed me that ‘Troopers do not sit in traffic.’ While driving him he constantly informs me that Troopers drive as fast as possible to events. The documents provided to The Post also include references to a few speeding tickets that involved Gansler’s vehicle when troopers said they were not driving it. An e-mail written by Ardolini in November 2012 said a trooper told him about a speeding ticket Gansler received that remained unpaid. “He threw it away and said he was not paying it,” Ardolini wrote. Wheelock said Gansler has no recollection of receiving any speeding tickets while driving the state-owned SUV. A spokesperson for Attorney General Dough Gansler, Bob Wheelock, denies the reports. "Wheelock said it’s common for troopers to drive faster than the speed limit when traveling with elected officials, and he questioned the motives of Ardolini," the Post reported. “Doug was feeling like he was being given second-tier or too recently trained troopers," The Post Quoted Bob Wheellock as saying, "They were very inexperienced, and several of them didn’t know the area well. That was a source of irritation to Doug.” A spokesperson for the Maryland State Police, Greg Shipley, was reported by the Post as saying that the executive protection section has no "second-tier" troopers. The Maryland Attorney General is the chief legal officer for the state, and heads the Office of Attorney General(OAG) which advises state agencies and the legislature on law. During Gansler's term as Attorney General, the OAG has intervened in traffic enforcement issues in several recent instances by writing legal opinions supporting interpretations of the law convenient for local governments and opposing the interests of Motorist rights. Among the opinions issued under Gansler's watch was a "get out of jail free card" which condoned Montgomery County's contingent fee speed camera contract. This set a precedent for most speed camera contractors across the entire state to be paid based on the number of tickets issued, despite the fact that even Governor O'Malley has said this practice violates the intent of current law. The Office For Attorney General also issued an opinion that citizens could not petition for referendums on speed cameras at the county level, unless this is a specific local law permits it. 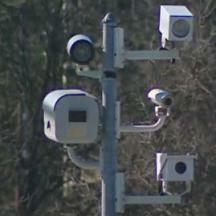 This is one of the reasons that only one local jurisdiction in the state has ever put speed cameras to a referendum. The OAG also wrote an opinion which went against the decision of a circuit court judge who dismissed a speed camera citation, in a case which had appeared in the press. While the OAG acted in support of local governments on these issues, when the editor of this website attempted to bring violations of the law BY speed camera programs to the attention of the OAG (including alleged violations of the Public Information Act by local governments and an instance of alleged forgery by local government officials) the OAG replied in each instance that they do not get involved in local government matters. Doug Gansler is currently running for governor of Maryland. Gansler denied charges of 'back seat driving' and responded that the complaints are a political attack by supporters of one of his opponents in the upcoming democratic primary. “That story was based on one of the O’Malley-Brown henchmen. The guy actually works in the governor’s mansion” stated Gansler. A statement by the Maryland State Police objected to troopers being referred to has "henchmen" and to the assertion that they engage in politically motivated actions , according to another article in the Post. WBAL: Troopers Complain About Gansler's "Backseat Driving"